The history of Windpilot since the company changed hands in 1976 is quite well-known, largely because of the unusual nature of the transaction: a straight swap, agreed on the spur of the moment while sailing, of a substantial sailing yacht for the contents of a dark workshop by some stables in the woods 25 miles or so from Hamburg. Nobody could quite believe it – me included! My wife did believe it though. And she didn’t like it. I was inspired by the possibilities, she fearful of the new uncertainty. The ensuing discussion opened more cans of worms than we could ever have hoped to close and the inevitable happened. Sometimes in life a nudge to the established order is all it takes to shake loose the veneer of normality and reveal the unstoppable momentum for change acting beneath. We find ourselves recognising what’s happening, why it’s happening and the inevitability of it happening all in the same short thought process. The deal, then, came with certain consequences, none of which I have ever had cause to regret in the subsequent 38 years and counting. This unique company became my life’s work: it enabled me to embrace the non-conformist in me and pursue my own destiny by my own path. 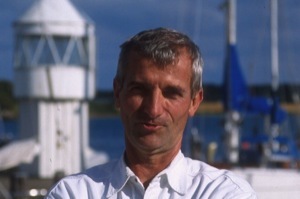 John Adam founded Windpilot in 1968. The name could hardly sound more English, but John’s family was German through and through. 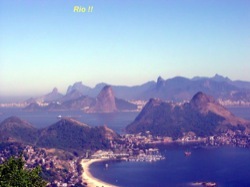 His uncle, Karl Adam, was a legendary German rowing coach and co-founder of the Ratzeburg Rowing Club, whose eights dominated international rowing for years and won Olympic gold in Rome in 1960. The astonishing tale of John’s Atlantic crossing with a Leisure 17 in 1967/68 combined spectacular personal achievement with an interesting political aspect in a way that captivated the German press and consequently earned the protagonist a certain measure of fame. Now I was familiar with Kevin from the Leisure Owners Association and as a customer – he bought one of my Pacific units at the London Boat Show. I also knew Brian Meerloo, the founder and owner of Cobramold Ltd. and Leisure Yachts, in fact I had stayed at his house and had met him on various occasions in the Canaries. I previously had no idea just how involved Brian Meerloo had been in John Adam’s adventure though. John and I have spoken often, but I knew only the short version of the story: across the Atlantic in a tiny Leisure 17, imprisonment in Cuba, return to Germany and subsequent establishment of Windpilot. The full version presented below comes from Brian Meerloo, with whom Kevin Gilroy conducted a series of interviews for the Leisure Owners Association. In the spring of 2012, Brian Meerloo the founder of Cobramold, builders of Leisure Yachts was most generous with his time and recorded several interviews detailing the story of Cobramold and Leisure Yachts. The following is part of a summary from the recordings. 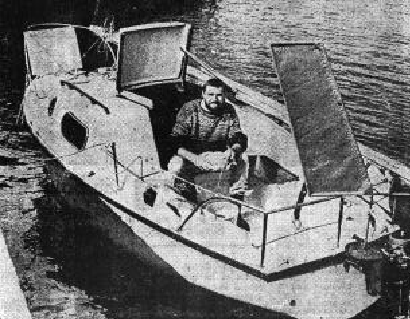 At the 1967 Boat Show at Earls Court, Brian Meerloo’s company Cobramold made its debut in the ranks of glassfibre boat builders, with the Leisure 17. On a neighbouring stand, Peter Lewin of Yachts and Yachting magazine was much taken with the new pocket sailing cruiser which came ready-to-sail for £495, about the same price as a BMC mini. Peter published a most favourable article after the show. Can I Sail One across the Atlantic? Following a successful first boat show, in February Brian received a telephone call from Germany as a result of the article in Yachts and Yachting. The caller was John Adam, and he proposed to sail a Leisure 17 single handed across the Atlantic, in time to arrive in triumph at the January 1968 New York Boat Show. Great publicity for the new firm. John Adam was not a novice but an experienced merchant seaman who worked as a navigating officer with the container line Hapag- Lloyd and lived in Molln, a small town some 40 kilometres east of Hamburg. John had three requests: the Leisure 17 would have its windows reinforced; the anchor locker should be enclosed and injected with high density foam to form a watertight forward bulkhead; and finally he wanted wind operated self steering gear. Otherwise the boat was a standard production model. 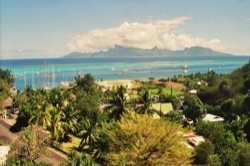 The 1960’s was the era of the single handed OSTAR Atlantic crossings in small cruising yachts by the likes of Blondie Hasler of Cockleshell Heroes fame and by Francis Chichester. Hasler’s famous tiny folkboat, Jester, had no windows, a fully enclosed deck and his own self designed wind vane steering gear. 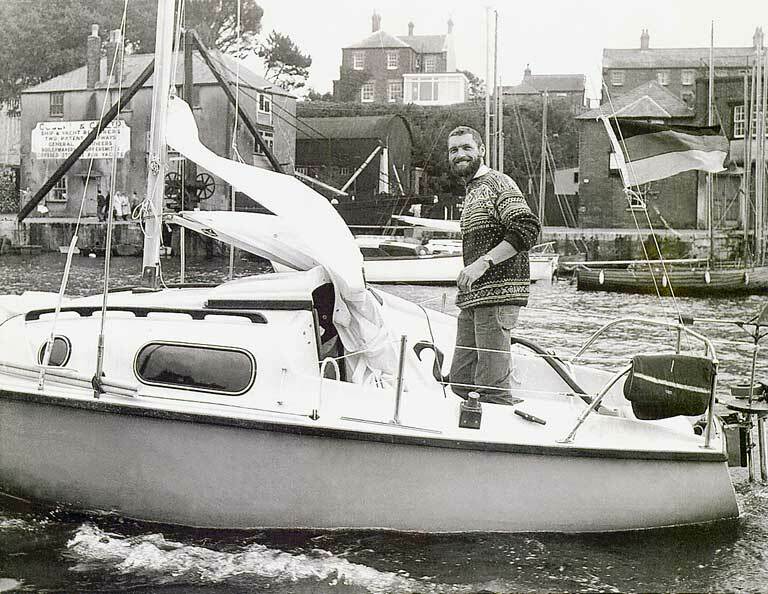 In 1965 Robert Manry had sailed the Atlantic west to East, Falmouth, USA to Falmouth, UK in the 14 foot Tinkerbelle. So John’s proposal was not far fetched. In the yard at Cobramold, in the summer of 1967, Brian worked with John on a wind vane steering system which was duly mounted on the stern of the Leisure 17. With a surname of Adam, the L17 just had to be called Eve. By September 1967, John Adam was photographed in Weymouth, ready to set off. And this report appeared in a national newspaper. “A GERMAN Merchant Navy Officer, 28 year- old bearded John Adam arrived at Weymouth today with a 17 ft, glassfibre yacht in which he will begin a solo Atlantic crossing bid tomorrow, September 13th. The yacht, the Eve, will be the first standard production glassfibre moulded boat to attempt the crossing. The yacht was made by Cobramold Ltd., of Basingbourne Hall, Stansted Airfield, Essex. The 5,000-mile trip is planned to take three and a half months – and the destination will be the New York Boat Show in February. John set off in Eve and nothing was heard until Brian received a phone call from a small French fishing port not far from La Rochelle. John was convinced that the twin keels had become loose in a bumpy down-channel passage. Brian flew to La Rochelle. The Leisure was lifted out on ropes and the keels were found to be rock solid. They concluded that the wave action smacking air between the keels probably gave the impression that the keels were working loose. John set off again. Next stop was Vigo and then Las Palmas in the Canaries. During this time John practised cat napping for 20 minutes at a time but he found sleep deprivation hard to deal with. However from Las Palmas John made a successful 32 day Atlantic crossing, making landfall in Antigua in mid December 1967. He met up with an American sailor who presented him with a small spinnaker. Possibly the original blew out in the Atlantic crossing? The American gave advice on sailing on to Miami where John could make his way up the Intracoastal Waterway to New York. But time was running out, and John only had around 25 days to get to New York in time for the ten day boat show. In New York, the British Board Of Trade had arranged a plinth outside the Coliseum, to showcase the Atlantic-conquering Leisure 17. 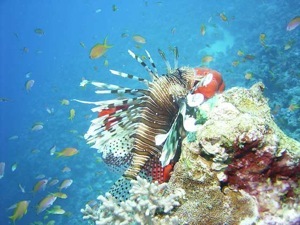 But nothing had been heard from John since his departure from Antigua. Concerned, Brian flew down to Miami to enquire if there had been any news or sighting of John. Brian was prepared to truck the Leisure 17 up to the boat show had John made land. However the coast guard weather printouts suggested that a small 17 foot boat was unlikely to have survived the storm conditions that had been prevalent. After the Boat Show, a disconsolate Brian flew home to London. He checked with the Admiralty since it was known that one of the older aircraft carriers of the Illustrious type had been in the Caribbean near John’s expected track. Again the news was bad: storm force winds encountered, survival of small craft unlikely. A tragic comedy of errors occurred when Brian contacted the German Embassy over John’s disappearance. The embassy staff requested proof of Brian’s story, but there was no documentation. In the style of the 60’s, Brian and John did things by word of mouth and a handshake. Brian was somewhat nonplussed by the embassy’s reaction. Brian flew to Hamburg for the German Boat Show. Only 40 kilometres away was John’s home at Molln where Brian had a difficult and emotional meeting with John’s parents. There was still no news of John. Next stop was the Geneva Boat Show. On the flight Brian was making changes by hand to the Leisure sales brochures, changing the prices to francs. A fellow passenger enquired about the brochures and Brian explained that his company manufactured the boats shown in the brochures. 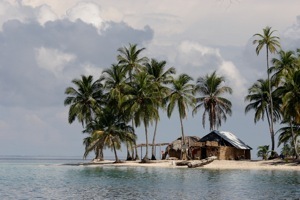 The lady passenger, Ms Giethere, revealed she was a Reuters’ journalist returning home on holiday. Before leaving work Ms Giethere said that she had seen a report about a lone sailor with a very small yacht being shipwrecked on Cuba, but he had been arrested as a suspected spy. The Cubans were very jumpy since it was only a few years since the American backed Bay of Pigs invasion fiasco. Ms Giethere’s recollection of the story was sketchy but she took a Leisure 17 brochure from Brian and promised to phone back when she had more details. Within 24 hours the Reuter’s journalist phoned back to confirm the story with the added detail that the arrested sailor spoke perfect English but had German papers and was suspected of being a CIA spy. His boat had been impounded. For Brian, this extra detail of a German national who spoke perfect English blew away any lingering doubts. It had to be John Adam!! Brian contacted the German consulate who now took the matter seriously. Crucially Germany still had diplomatic links with Cuba and could negotiate directly. Meanwhile, the Boat Show carnival had moved on to Dusseldorf, where Brian was visited by the internal police who confirmed that John Adam was alive and well, but being held in a Cuban jail. However the officials were hopeful of negotiating John’s release. The Cubans eventually asked for £1500 for John’s “hospitality”, plus the price of his air ticket home. Brian paid the money over (£20k plus in today’s terms) and waited. A few days later whilst still at the Boat Show, Brian’s brother Peter phoned to say that John had been released and was on his way home. Brian flew back to Hamburg and was at the Adam house to join in the celebrations on John’s safe return, which was widely covered by German TV and radio. With regard to John’s shipwreck, he reported that the sea conditions were horrendous and that he had just gone down into the cabin when the yacht was picked up by a huge wave, rolled over and dismasted. 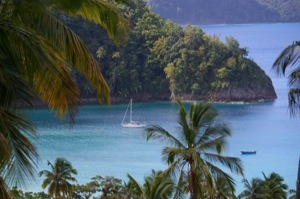 He drifted inshore on to a reef where the breakers pushed the yacht on its side, into the calmer waters of a lagoon. John waded ashore into the arms of the Cuban police. The Cuban authorities were highly suspicious. John’s passport confirmed he was a German national but he spoke perfect English. The Cubans were convinced he was a CIA spy when they discovered his log book was written in code. John had anticipated that writing a log book in long hand would be pretty difficult on such a small craft and whilst preparing for the voyage in England and staying with the Meerloo family, Brian’s wife taught him Pitman Shorthand! That was enough to keep him locked up. The story does not quite finish there. A couple of years later, Cobramold received a request from the Cuban Naval authorities for a Leisure 17 skeg, rudder and two hatches. The impounded boat was now to be used for training naval cadets. And there is more of John Adam. Some twenty years later in 1987, the German sailing magazine Yacht, ran a competition asking readers to describe their ideal first boat in a 1000 word essay. The competition prize was a newly refurbished Leisure 17 which Yacht had found in an abandoned state in Ulm. The refurbishment was carried out by the suppliers who regularly advertised in Yacht! Brian and his wife Carol were asked to attend the Hamburg Boat Show for the prize giving. Brian suggested that John Adam should be asked to present the Yacht prize. They discovered that John still lived in Molln, where he now produced wooden toys, and that in the intervening years he had become the German Veteran Iron Man champion. However whilst training for the European Iron Man Championship, John cycled over the brow of a hill into a nasty accident with a quad bike. John had broken legs and arms but fortunately had just returned to health when Yacht contacted him! And finally… Earlier in this story Brian and John had spent weeks constructing an effective wind vane self steering system. On his return home, John Adam perfected the system and called it Windpilot which he marketed and sold worldwide until finally he sold the business to Peter Foerthman. Peter still sells this excellent piece of kit – windpilot.com. Fourteen years ago I met Peter Foerthman at the London Boat Show and I bought a Windpilot for my Leisure 27. At the time I had no idea of this historical link with Leisure Yachts. I do now! In some versions of John Adam’s voyage, mention is made John being caught in Hurricane Flora. This does not tie with the facts. Hurricane Flora proved most devastating to Cuba and killed over 1750 Cubans, but Flora occurred five years earlier on 4th October 1963. It was the most devastating Atlantic hurricane in recorded history with the total death toll reaching over 8,000. Also Caribbean hurricanes do not occur in January or February. The hurricane season starts in August and finishes by November. However Cuba can have violent stormy weather in February. It certainly did in 1968 when John Adam was shipwrecked there. Now in his seventies, John Adam is alive and well and living in a village to the north west of Hamburg. 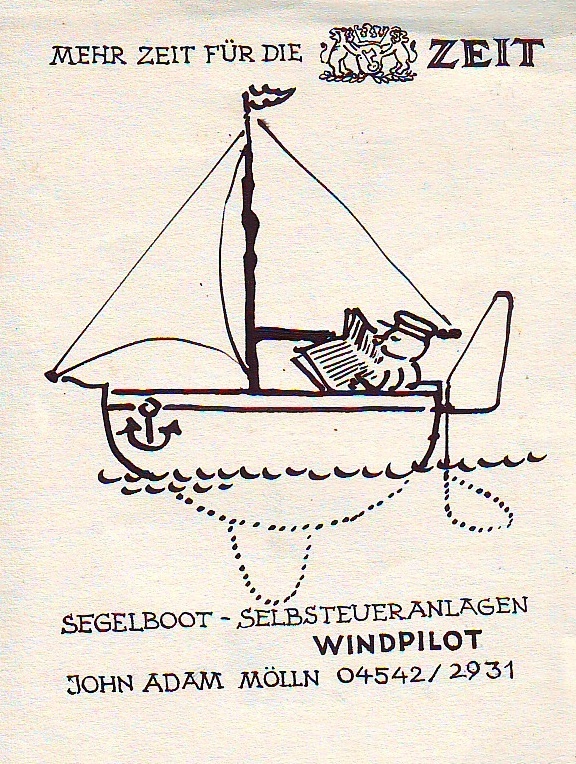 So Windpilot really does have English roots: the very first example, a windvane-only model designed and built by John and Brian in England over an intensive few weeks and subsequently christened the “Nordsee I” successfully took John across the Atlantic and formed the starting point for his subsequent product development work. That the company was allowed to register the trademark “WINDPILOT” I think we must regard as a happy accident of history. I assume the official at the German Patent and Trade Mark Office who handled the application must not have been particularly familiar with the English language, as otherwise he would surely have disqualified such a descriptive formulation (after all a Windpilot is a wind-driven pilot just as a motorbike is a motorised bike, but the latter would never be allowed as a trademark). However it happened, it was good luck for us: given that English is effectively the common language of the sailing world, I can’t think of a better global trademark for a windvane steering system. A brand like this can be enormously beneficial in a global market too because it tends to stick in the memory. Take, for example, the case of Taru Tuomi, whose reports of her bluewater adventures with partner Alex repeatedly referred to their SAILOMAT system as a WINDPILOT until I eventually did the decent thing and pointed out to her that this might not be the best way to reward her sponsor (especially given the fact that I had previously declined her invitation to sponsor the project). This brings the story of our successful international company – still very much a family business – full circle. Our industry is truly a most unusual one, revolving as it does around a product most customers need only ever buy once: a Windpilot has no defence against poorly-planned high-speed reversing manoeuvres into harbour walls and the like or the forceful overtures of excessively affectionate fishing boats, but otherwise it should last indefinitely. Almost all of our ATLANTIK model auxiliary rudder systems from the 1970s remain in service to this day, for example, and command prices in the second-hand market that consistently beat their original purchase price. Finally, I can confirm that John and I did indeed seal The Deal, the yacht for company swap, with nothing more than a chat and a handshake. I was once the proud owner of a Leisure 17 from about 1976 to 1983 here in Long Island, NY. I bought the boat from a local gent who told me about John Adams sailing it across the Atlantic. Nearby was Ted Tyler’s Tylercraft boatworks in Oakdale, LI, NY and I bought a new spinnaker from him for it. Tylercraft made bilge keel sailboats here after 1968, with his most popular being the T24. My 17 was always a head turner though, especially with the amount of room on it for so small a boat. 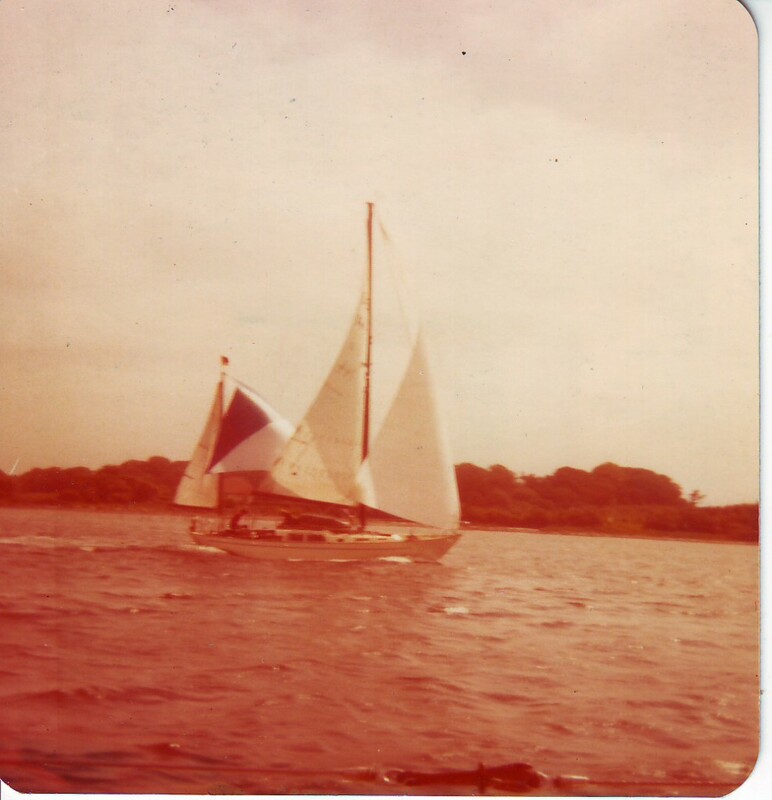 I had equipped it with a great deal of electronics and we took many fine cruises in Continuity out of the old Glen Cove Yacht Club in Glen Cove NY (the old Corinthian station #10 of the NYYC). It was a true delight to find your site here, and this article about one of my true gems in life!